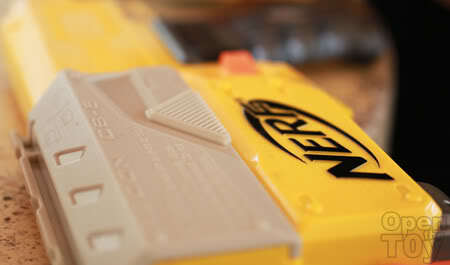 I have never really hook on Nerf guns until I read SgNerf. Being rather green in Nerf, I asked him about customization and modification and other terms mention in the nerf forum. Since he was stay near my area, we decided to meet up at my neighbourhood. So last weekend, I brought along my Recon CS-6 and my Maverick to meet up with him. We have a good time talking about Nerf guns, events and modification. I expressed my dissatisfaction regarding my Recon CS-6 range distance and I mention to him that I saw someone did a modification on Maverick that allow a full opening of barrel. 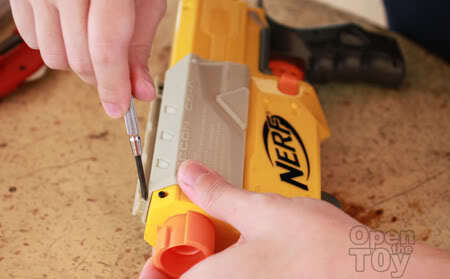 Since he happen to have his Nerf toolbox with him, he decided to teach me how to do such modification. 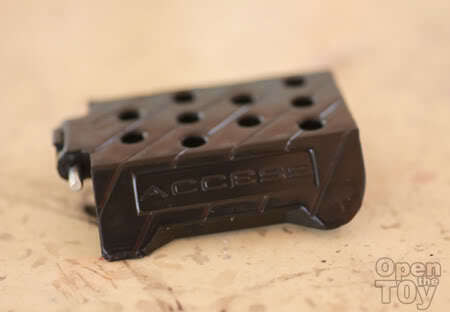 Regarding my Recon CS-6, he said modification can be done by removing Air Restrict-or(AR). However he stressed that it would be a risk if in the process of the modification and as a owner I need to be accountable how I play my toy gun. I agreed and we move on to start work on my gun. 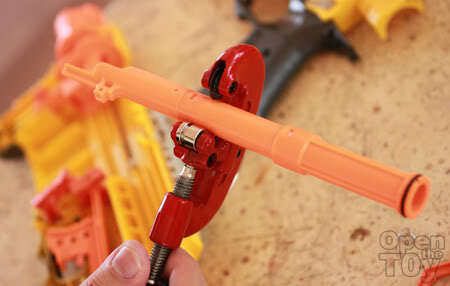 After unscrewing the gun casing, we located the bolt carefully pre-cut it with a pipe-cutter to remove the AR. 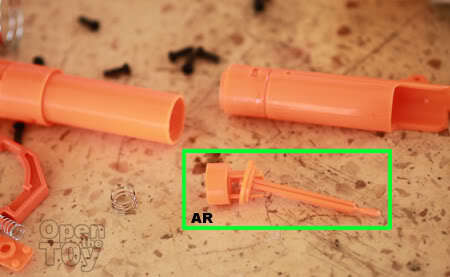 When the bolt is opened, remove the AR. 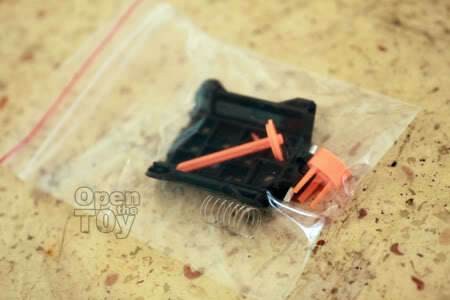 Add a Plunger Padding to cushion the plunger on bolt impact is important! 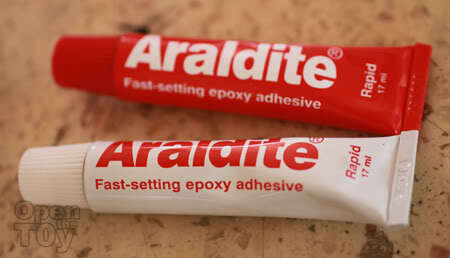 Now to mend back the bolt, it is recommended to use Araldite. Mixed the two compound together and you will get a strong glue! Apply the glue carefully. 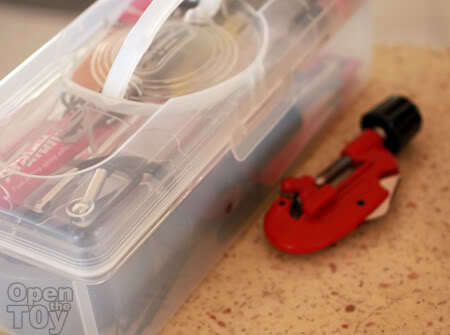 Hold it into position for about five to ten minutes for the glue to set. It should be strong to try out but it is best to wait for 10 hours itself for it to totally set. so that I can now see if any foam ammo is inside. Check clear! Not Clear! We tried my modded Recon CS-6 and the distance of the foam travelled was fast and doubled! Cool! However if I happened to shoot it as blank, the sound can be loud for many. 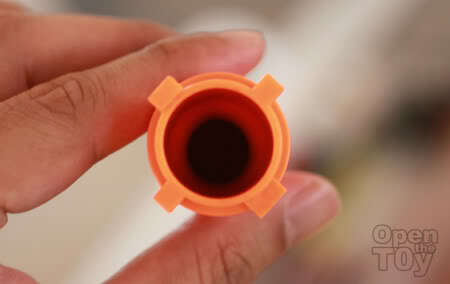 However when the extended barrel is mounted on, the accuracy and distances is very much shorten. It's alright as I don't really fancy the extended barrel. The full steps and procedures on modification of Recon CS-6 can be found here. 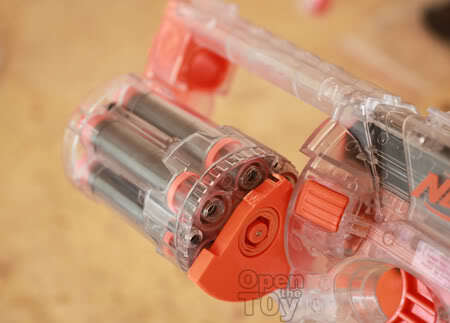 Now for my Maverick, we saw off two parts at the barrel and now it can be fully opened for ease of reloading! Wow that's so cool! Nice pics too! Thx for sharing. A lot of Nerf fans will benefit from this. 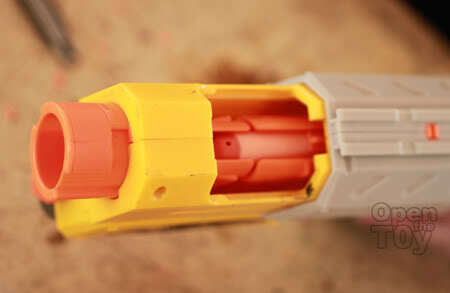 Man didn't know you could mod so much for a nerf gun :D. Your pictures taken are fantastic by the way ^^! thanks for sharing! I'm only a student. SGNerf is the master. XD You are good in your gunpla mod too!